← When is the next Ice Age due? 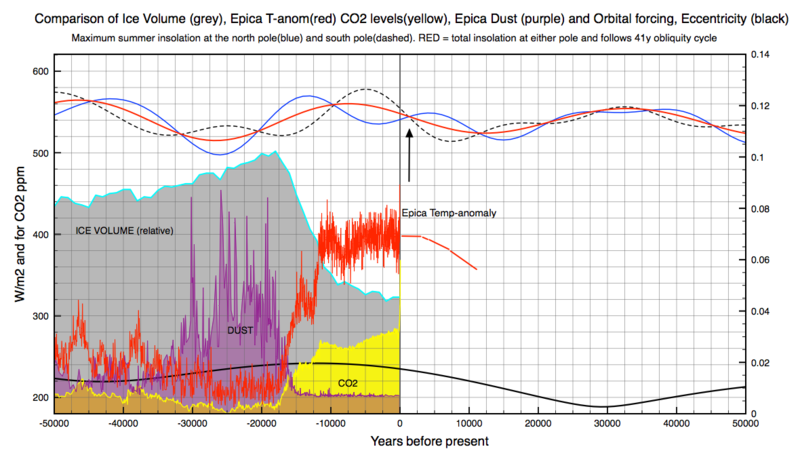 The current interglacial period showing how eccentricity is falling to near zero values. Mainly changes in obliquity will regulate future summer melt in the Arctic.